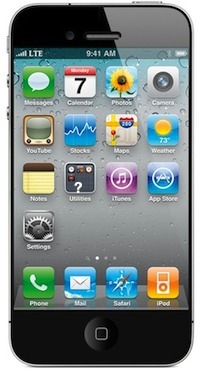 Apple has publicly announced the iOS 5 release date is set sometime this Fall. If Bloomberg is correct, then the release of iOS 5 and iPhone 5 will coincide with one another. This year, the Fall equinox falls on the Friday of September 23rd, which would leave a full business week afterwards for some dates to align, although Apple seems to have affinity for Tuesday and Wednesdays for product releases. Tossed into the report is also a brief mention of a “new iPad” that has a more responsive and higher resolution screen, coming in at 1/3 higher resolution than the current iPad 2 display. There is no timeline given, but presumably iPad 3 would be due out in 2012. Most of Bloombergs report reiterates past iPhone 5 rumors, and there is a clear pattern forming of major news outlets reporting the same information about the next-gen iPhone. This does indicate some reliability, as we have seen the same reiteration of rumored hardware and specs leading up to the release of iPad 2, Verizon iPhone, iPhone 4, and even the MacBook Air. Wtf??? I think they ment IOS 6.